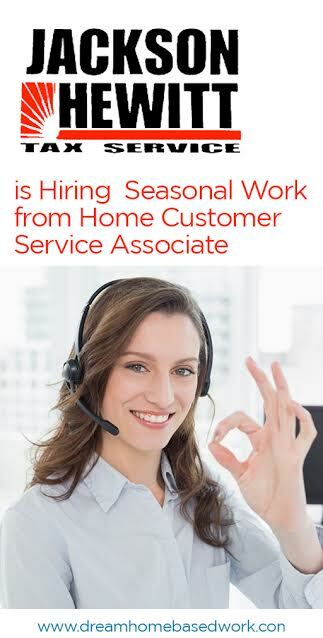 Jackson Hewitt is looking for hard working Americans to hire as work from home customer service associate. The company is focusing on changing how customers engage with personal finances. Currently, the firm has more than 6,000 locations across the US. 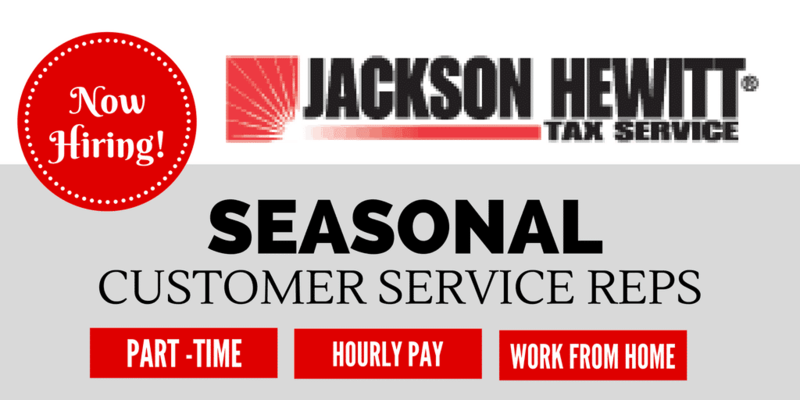 If you want to be part of a team that is changing the industry, with a focus on delivering exemplary customer service then join Jackson Hewitt! Alabama, Colorado, Arizona, California, Connecticut, Florida, Georgia, Illinois, Indianan, Kansas, Kentucky, Missouri, North Carolina, New Jersey, New Mexico, New York, Pennsylvania, South Carolina, Tennessee, Texas, and Virginia. Ability to prioritize the needs of customers and empathize with them. Ability to understand clearly and respond to issues presented by customers appropriately. 1 year and above experience in service working environment in the public or call center will be a plus. OS-32 and 64-bits Windows 7, 9.1 and 10. USB-Connected headset that have noise canceling specifications or home phone. To apply for this job, click on the “APPLY” button at the bottom of the job description page on the website of this company to fill out and submit the application form. And if you’re looking for more work at home jobs, follow me on YouTube. I share exclusive job leads to my subscribers that are not shared on my blog. Looking forward to connecting with you!